As you prepare to celebrate the start of the much-anticipated new year with soaring expectations, Plant The Future has prepared a couple of tips to help you strengthen the design vision for your hotels and residences in trendy Miami. Night Watch is a rich and classic shade of green touted by paint company PPG that allows spaces to compound the feeling of lush greenery and the healing power of nature. Night Watch’s versatility allows the paint color to be used in a variety of rooms and design segments but evoking the same emotions. The therapeutic power of nature is important in society. Night Watch is about bringing that healing power from the outdoors into your home and the indoor environment through color. The alluring dark green shade pulls our memories of natural environments to the surface to recreate the calming, refreshing bliss we feel when in nature. One full wall in Night Watch will automatically draw the eye in that direction. 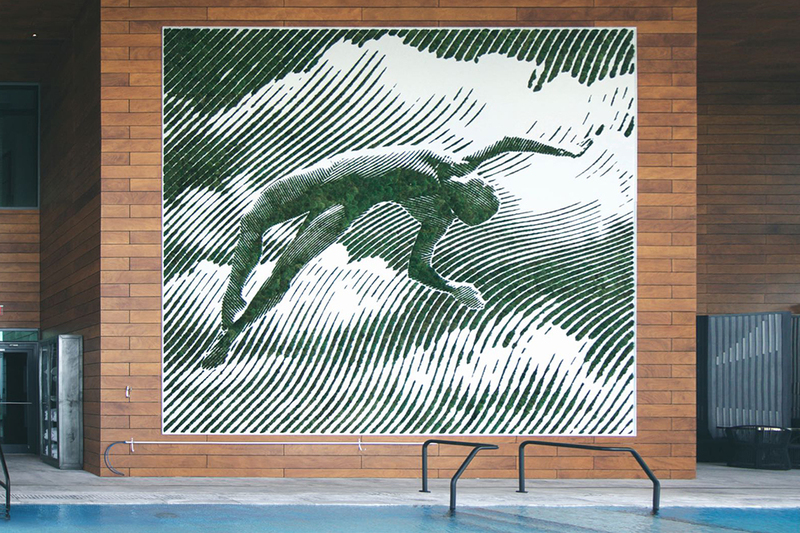 Hotel lobbies or an external wall are great places for this eye-catching green. Alternatively, a light wall color can be offset with accessories in a deep green. The lighter, brighter color of most leaves offset the dark, rich tone of Night Watch. 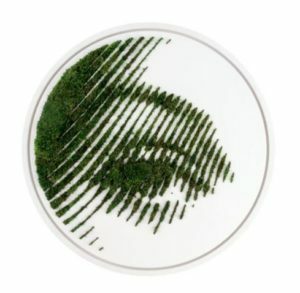 The white backgrounds of our art collection and the lighter green from the moss art, such as the lovely Circle Eye by Paloma Teppa & 2ALAS are a striking combination sure to impress your visitors with an ecological-inspired, modern display. Our Moss Heart is a popular and very easy purchase that comes in various sizes ranging from our 29inch Large, Medium (20”) and Small (13”). Hoteliers are enlivening their public spaces by adding live or preserved plants indoors. This is a trend inspired from decades of disconnect inside of buildings from nature, and a realization and fervent, innate desire to reconnect. 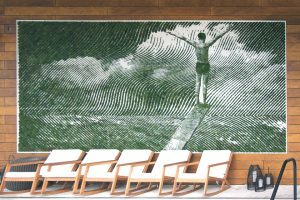 Watch as your hotel rankings get higher on social media simply by making space for moss art in your conference rooms, lobbies, and restaurants. 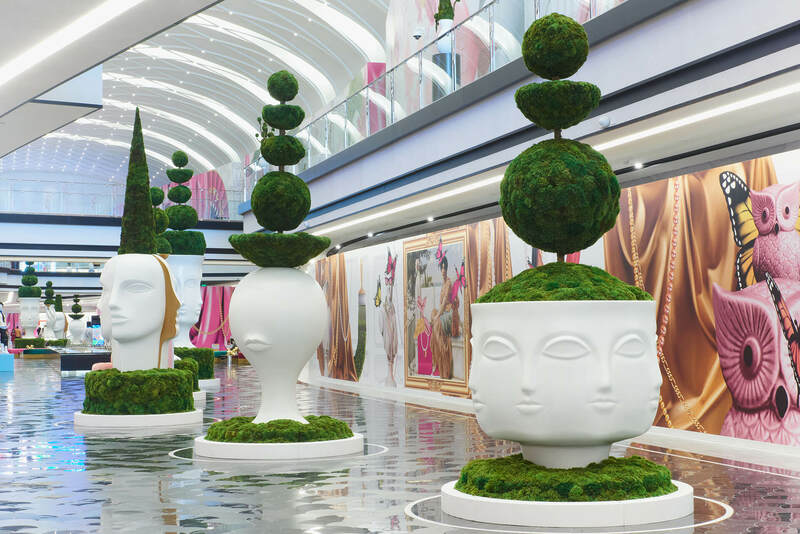 With Miami being all about trends, moss art is an easy way to fill the sophisticated and forward-looking homeowner expectations, meanwhile, the plants are cleansing souls with their mere presence. A living wall art augments wellbeing by reducing stress, enhancing indoor air quality and improving mental health. Not to mention greenery’s natural softness, texture, coolness, and comfort enliven the spaces they occupy. Our preserved moss brings the calmness, peace and healing properties of the forest into your life; its silence will allow you to hear your inner voice. The Pisces Eye Trinity is an interesting piece from our collection for it is a symbol of harmonic proportions and a source of strength, energy, and power. 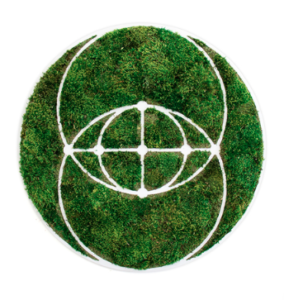 Circles symbolize continuity and the concentric circles just heighten that energy to an exponential factor. The green moss slows down the continuous energy, making it a unique wall art that energizes, capitalizes on natural geometry and yet exudes peace. Strength: even on the darkest days. Note: this moss requires no direct sunlight. Big things are predicted for the Pilea peperomioides. The Chinese Money plant, as well as plants with patterned leaves, are about to become a big hit. Its minimal, flat round leaves create a sense of wonder and elegance. Originating in China, a Norwegian missionary took cuttings to Europe and since then it has been passed on from botanists and plant-lovers. 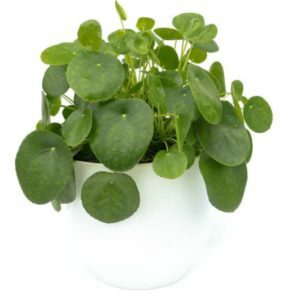 Taking care of Pilea will help them produce many plantlets in bright indirect light. Plant the Future is passionate about the creative process behind decorating with plants. We have helped bring the power and energy of the natural world to a diverse range of spaces ranging from private residences to luxury hotels. Don’t live in Miami or within 20 miles? No worries, these classic Plant the Future Pieces can be shipped anywhere in the lower 48 states. To begin your journey towards creating a place of peace and serenity through the spirit of plants and crystals, contact Plant the Future online, or call our Wynwood Gallery, (305) 571-7177 or our HQ at (305) 222-7500.